Contrary to what most people think, Samsung is not the first to bring foldable phones to the world. Royole (from Rouyu Technology) was the first one to take the wraps off the foldable phone technology at an event in Beijing. It is the only real foldable device that is not in the prototype stage. The smartphone features a 7.8 inch AMOLED display with a resolution of 1920x1440. When folded, the resolution scales down to 390x1440. The device measures 7.5x5.3x0.3 inches and comes with two cameras (20 MP telephoto and 16 MP wide-angle), 8GB memory, 256GB storage and a 3,800 mAh battery. The phone was officially launched in October 2018 with a starting price of $1,588. Foldable phone technology has captured the attention of every smartphone company and here is what to expect in 2019 from mobile phone makers. Samsung calls its bendable screen the Infinity Flex display. The demo at Samsung’s developer’s conference gave a glimpse of how the phone looks like but the name of the phone is still kept veiled. The name might be Galaxy X or Galaxy F. The phone has two 4.6-inch screens that can transform into a 7.29-inch tablet when unfolded. Also, the rear of the phone has a 3.5-inch screen that would enable the display even when the phone is folded. Rumors suggest that Samsung will officially launch the phone either at CES 2019 or MWC 2019. However, the exact date of release and the price of the phone are yet to be revealed. The company also promises the futuristic rollable OLED displays. Sony Xperia Note Flex is expected to be the earliest rival of Samsung Galaxy X. According to the speculations on the web, Sony’s stylus-toting foldable tablet will come with a triple lens camera setup. LG is known for its stunning displays. The company filed a patent this January for a tablet with two halves that can be folded into a phone. However, the device will have only two screens, unlike Samsung’s Galaxy X, which has three. LG has been busy for a while making foldable screens not just for phones but for its televisions too. It has already shown the concept for an LED TV that can be rolled and carried like a newspaper. 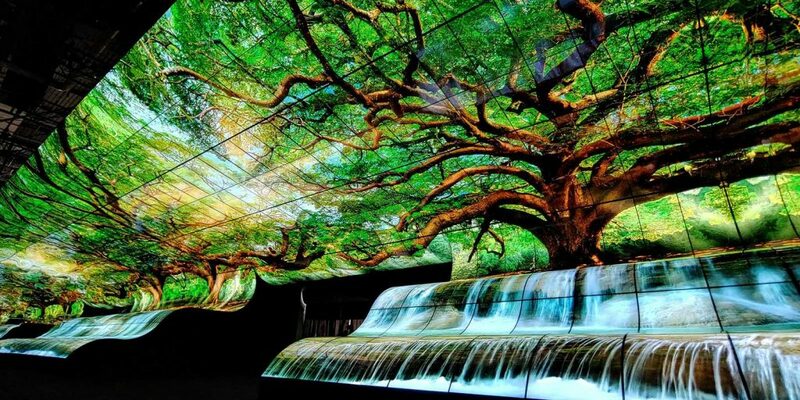 Also, last May, the tech giant showed off a transparent OLED screen that stretched 77 inches at the Society for Information Display trade show. LG’s internal documents have names like Flex, Foldi, and Duplex but the name of the phone is yet to be finalized. Like its competitors, LG has not revealed many details about its project but unlike them, LG phones will fold horizontally like a wallet. There have been rumors about the Lenovo-owned Motorola’s foldable phones since the CEO of Lenovo told TechRadar about their interest in foldable technology. A few years ago, Lenovo also revealed its idea of a smartphone that can be bent around your wrist and fit like a watch. Motorola has filed a patent for a foldable phone that can flip into a tablet. Although the pictures of the phone are not leaked yet, Motorola’s patent makes it clear that Motorola Razr is going to be a flip model that would fold horizontally like LG. 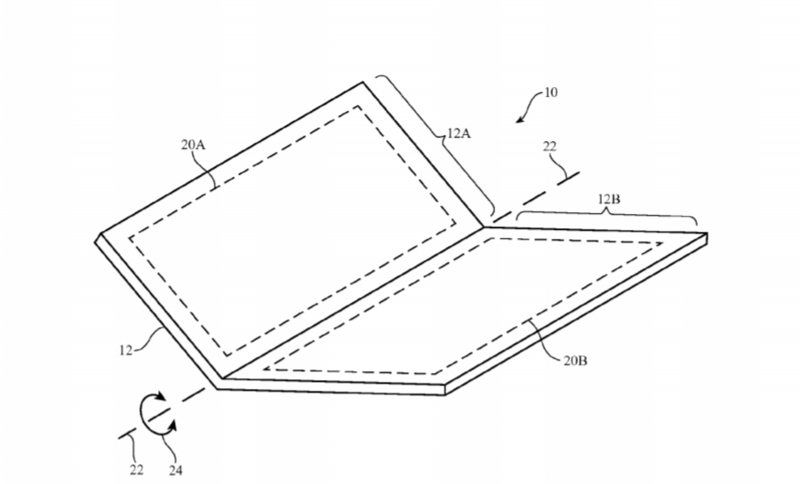 Since 2014, Apple has been filing several patents for the technologies to use in its foldable phone project. According to the most recent patent, the phone can be folded in both configurations: front-to-front and back-to-back. Apple might be getting on board new technologies like 5G and might have Samsung’s screen. Rumors suggest that the device is pretty close to being fully developed. But the company doesn’t seem to have plans of launching it any soon, neither has it revealed anything about the project. Brands like ZTE, Oppo, Huawei, and Xiaomi also seem to be working on the tech. In March 2018, the patent-filed diagrams of Huawei’s foldable phones were released. Excitingly, Huawei already has the working prototypes of the phone. Huawei is trying to make a laptop-type phone by making the screens bigger. The phone can transform itself into a tablet and a laptop with smart hinges. Microsoft seems to be developing a foldable device under the code name Andromeda. Overall, every phone maker is busy on this tech and clearly, 2019 is going to be the year of foldable phones. App interfaces are designed for screens with consistent sizes, so foldable phone makers will have to solve a lot of software problems. Google is already tackling a major part them by making Android compatible with the new form factor. One of the most important optimizations Google has made is “screen continuity.” With screen continuity, you will continue to watch a video seamlessly even when you fold or unfold the devices. The video will fit itself into the display when you switch between phone mode and tablet mode. Google also seems to be paving new ways for app developers to take full advantage of the foldable display technology. Qualcomm senior vice president Keith Kressin confirmed at the Qualcomm Snapdragon Tech Summit 2018 that Snapdragon 855 is ready for foldable phones. The next generation processor will only require minor tweaks to fully support foldable phones. Because Qualcomm is the major supplier of processor chips, its support for foldable phones will play a significant role in the overall adoption of the technology. Qualcomm processors usually find their way into the top Android phones within 12 months of their launch. Foldable phones weren’t a big topic at the Qualcomm Snapdragon Tech Summit as the announcement on 5G support captured all the attention. 5G networks will begin to roll out in regions that include Europe, Asia, and the U.S. The processor will bring AI along with 5G support to the flagship phones of 2019. The smartphone industry wasn’t very good in 2018. There was an 8 percent decline in the shipments, down to 360 million units. Users aren’t changing their phones as fast as they used to. Perhaps because there aren’t too many features that make people go “Wow!” This why the tech giants are doing all the heavy lifting to spice things up with foldable phones. But innovations don’t stop with foldable phones and companies are working on technologies like 5G, playing with the location of fingerprint scanners, making cameras more powerful and much more. Besides the lightning speed, 5G comes with more capacity that will eliminate signal problems in crowded areas. 5G will also provide a cost-effective platform for carriers. Though fancied over physical fingerprint scanners, optical scanners had the drawback of being slower. To make things more interesting, Samsung is bringing up its fast and secure ultrasonic fingerprint scanner. Samsung is also expected to be the first one to release smartphones with 5G. People obsess over getting the perfect shot and cameras are never good enough. Nokia 9 Pureview Penta camera caught everybody’s attention in 2018 and the multiple camera technology will be adopted by the other companies in 2019. The capturing capabilities will be further strengthened with extra zoom, wider angles, and AI cameras. 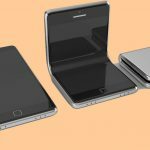 Home » Mobile Technology » Smartphone » Up around the bend: Are foldable phones the next big thing?